Hey Matt. You missed it. Our dept had our holiday party last night at the ice skating rink. I had been bragging for weeks about how I was a pretty great ice skater and how everyone would be wow'd with my grace and skill. First of all they ONLY had hockey skates. I've never skated on those before. THEN it started raining so the ice was extra slippery. THEN they had the nerve to have a free open bar prior to me getting on the rink. Basically it went like this. I am black and blue and sore like you would not believe today. I wish you could've been there. You very well might have laughed yourself to death. Also please know that it pains me to do this because I am flipped out by how awful I look in this video. But it's for a good cause so I will deal. Now watch it. Or at least click it....a lot. I just found out I have been cast in Impress These Apes at the Playground Theater here in Chicago. It's a talent competition of sorts where each week we are assigned a different talent and then scored by a panel of judges. The grand prize is $250! Which I could always use. Anyway, that's exciting. I almost didn't go to the audition either because it's been sooo long since I've been on stage and I was sooooo nervous. Thankfully my pride took over and I thought of how lame it would be of me to not at least give it a try and it paid off. This is a local Chicago improv guy that I don't know him but cracks me up. He's a finalist in the Yahoo Talent Show. I'm not usually a video poster so hopefully this works. Anyway, give this vid your vote. Even if you don't like it. Do it because I tell you to. I mean it. Otherwise there WILL be trouble. Today is World AIDS Day. Please take some time to educate yourself and others about this disease. 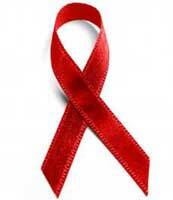 Also remember friends, family and loved ones that have been affected by AIDS and HIV. Hopefully through education and awareness we can eventually stop this indiscriminate killer and instead spread knowledge and compassion.